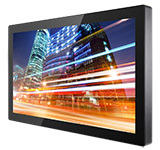 The 32-inch was added to the Winmate Multi-Touch series of Industrial PCs and Displays. The 32-inch uses an aluminum enclosure and a flat front surface. 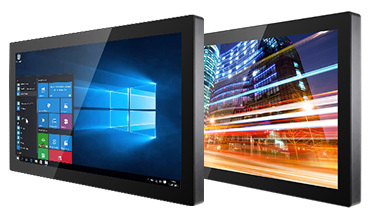 An enhanced 1920 x 1080 display makes the unit especially suitable for any organization that benefits from a larger and higher display resolution. The W32L100-PCA3 (for display) and W32IK7T-PCA3 (for panel PC) are relatively compact and "slim" for a panel computer. It is 30.6 x 18.8 x 1.88 inches and the protection is a sealing of IP65 for the front panel. 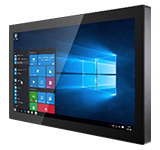 The W32IK7T-PCA3 can be ordered with a Skylake Intel 6th Generation Core i3/i5/i7 Processor. It is filled with on-board interfaces including one HDMI (supports HDMI 1.4), one Display Port (supports DP 1.2), two RJ-45 10/100/1000 Mbps, four USB 3.0, and one RS-232 connector. This allows for easy, flexible integration of various peripheral devices.